As part of an op-ed series, FIU News shares the expertise and diverse perspectives of members of the university community. In this piece, Stephen Leatherman, professor in the Department of Earth and Environment, offers his perspective on the need for an integrated modeling and observation network to combat sea level rise. This piece first appeared in The Invading Sea, a collaboration of South Florida Sun Sentinel, Miami Herald, Palm Beach Post and WLRN Public Media. The opinions expressed in the piece are is his own. Our beaches are in trouble. As sea levels continue to rise, our old solutions won’t cut it much longer. Here’s the prescription from Dr. Beach: A robust network of sensors along our coast that can help us better understand how erosion is chipping away at our beaches. South Florida is one of the areas in the United States most susceptible to hurricanes and sea level rise – things that chew up beaches and leave little sand for our enjoyment and storm protection. Sea level rise has such as strong effect that even small increases in sea level lead to significant beach erosion. It’s only getting worse. Our beaches could look like Miami Beach in the 1970s. Back then, I was part of a team of coastal scientists and engineers dispatched by the U.S. Army Corps of Engineers to investigate why Miami Beach was beachless. Beach nourishment in the late 1970s and early 1980s rejuvenated Miami Beach with a wide, sandy beach. The visitors returned. The economy sprung back up. We still fight against the invading sea today with costly and continuing beach nourishment to restore our most popular recreational areas and provide a storm buffer to beachfront buildings. We were lucky to have had a lot of sand locally available at an affordable price in the 1970s. Today, sand is being trucked from mines southwest of Lake Okeechobee to deal with erosion in Broward, Miami-Dade and Palm Beach counties. It costs a tidy sum: $70 per cubic yard and requires thousands of dump truck loads to deliver the millions of cubic yards that are needed in all three counties. This approach to combating beach erosion in South Florida by itself is just not sustainable. Beach nourishment only helps set back the clock. It is a short-term solution that treats the symptom — erosion — not cure the disease — rising sea levels. To mitigate the impacts of sea level rise, a robust observational network is needed. 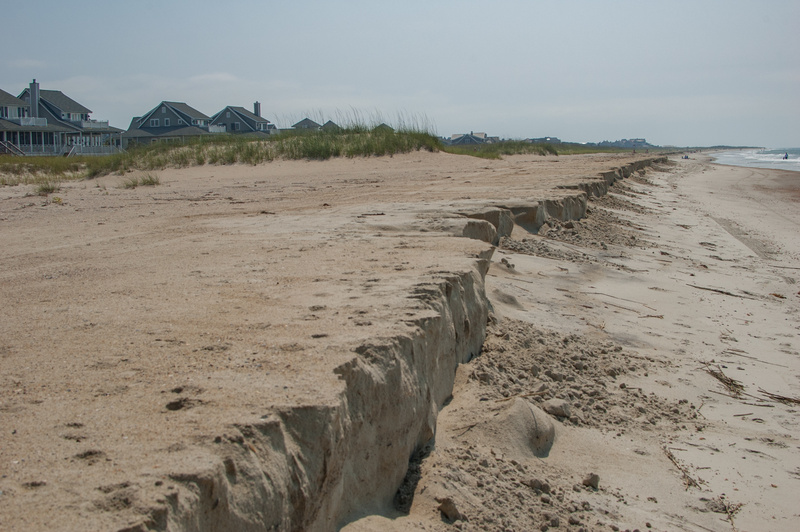 In addition to sand, wind, wave and current data are necessary to better understand coastal erosion and devise methods for maintaining and stabilizing our beaches including nourishment, sand re-balancing and dewatering to name a few. Data from this network will better define erosion processes and hot spots and help the National Weather Service predict dangerous boating conditions and deadly rip currents off our beaches. Miami Beach and Ft. Lauderdale Beach are the third and fourth rip current drowning beaches in the nation, respectively. Sea level rise and beach sustainability are rapidly changing problems. What worked well in the past to address coastal erosion will not necessarily serve our needs in the future. It is incredible that South Florida, such an important area to the state’s economy, does not have the necessary information to address these problems. An integrated modeling and observation network in South Florida is needed to provide accurate environmental information for decision-makers to plan, design and mitigate hurricane and sea level rise impacts. After all, beaches and tourism are essential for sustaining our vibrant economy. Stephen P. Leatherman is a professor in the Department of Earth & Environment at Florida International University and was the first director of the International Hurricane Research Center. He is best known by the public as Dr. Beach.